So a few months ago, I began feeling increasingly annoyed with myself for spending so much time on my phone. I was especially annoyed at the fact that looking at my phone, going on social media, reading the news, was the first thing I did when I got up in the morning. So one day I vowed to find something else to do in that 30 or 60 or was it 90 minutes I was spending on my phone. Enter the bullet journal. 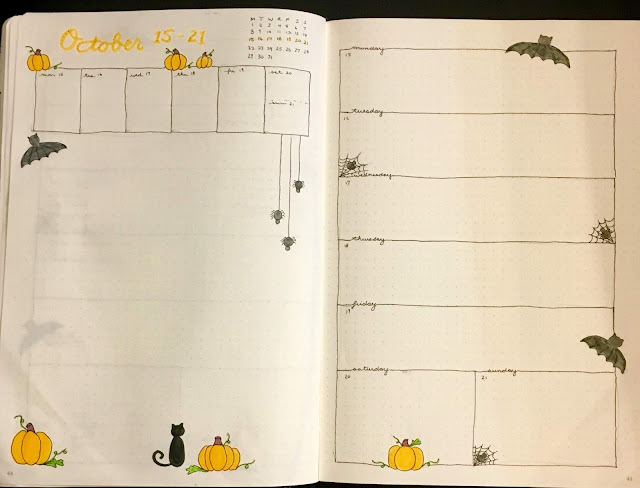 Google this term, or "bujo" for short, and you will find a BAZILLION topics under this subject umbrella: what it is, how to do it, weekly spreads, calendars, doodles, themes, lists, etc... I first heard about bullet journaling about a year ago and didn't really understand what it was or more so how in the heck to find the time to do it. 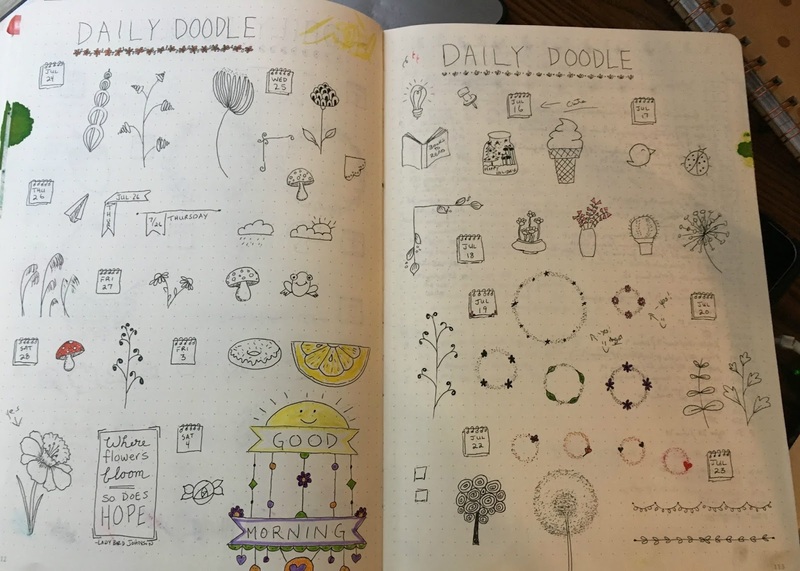 But with my new found morning time, which was a bit too early to be doing anything but sipping my coffee for a while, I realized this would be a good time to check out this journaling craze. My first month or two was an epic fail while I tried to copy some of the most intense, complex spreads and designs. 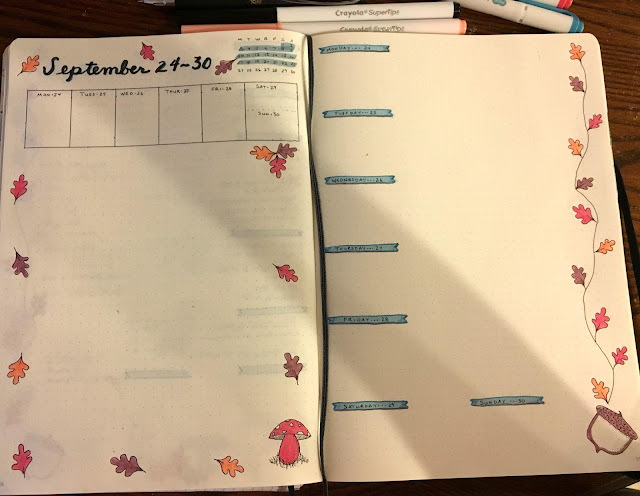 Thankfully about half way through the second month - after almost throwing in the towel - something clicked and I truly embraced the fact that my bujo doesn't have to look like or operate like anyone else's journal. And that's kind of the point. It should be something that works for the individual doing it! A journal, that is a great tool to help me keep organized. And as a bonus, is pleasant to view. It is a time investment to draw out your calendars, weekly spreads and trackers. But after finding a system that works for me, I find myself actually yearning to get to my bullet journal in the morning. And it is a marvelous, enjoyable way to use up that time that i was previously staring at my phone! My morning routine goes something like this: I usually will record things in my trackers, about 30-60 seconds. Make a brief list in the previous day of my activities (the crude diary referenced earlier: "up at 5, hike at audubon, work 9-7 at ___, home dinner, tv and beads with j and j"), this takes about another 60 seconds. Then I start plotting out the day. 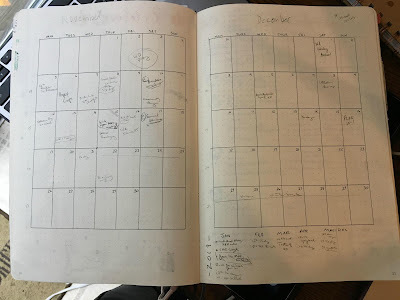 I review what I accomplished in the previous day, and what I need to carry over to the current day (in the 'bujo' world they call this 'migrating'), and then I plan the rest of the day, finalizing my daily work to-do list and my personal to-do list, which takes about 5-10 minutes. All in, my daily bullet journal activities take about 15 minutes or less. So at that point I'll usually do one of a few things. I have a couple of "daily doodle" pages in the bullet journal, so I can try out a few ideas or see if I can copy/emulate something I've seen in someone else's bujo! I currently do not have a plan for a theme for November and December. So in the coming mornings, I"ll spend some time doodling or playing with color palettes until I decide on a theme. Have you heard of bullet journaling? What do you think? Is it for you or does a traditional planner work just fine? In the meanwhile, I'll leave you with some October themed earrings! These little skull beads were on sale at Michael's last week so I snapped them up for my "Earrings of the Month" subscribers as a bonus pair of earrings for this month's delivery!